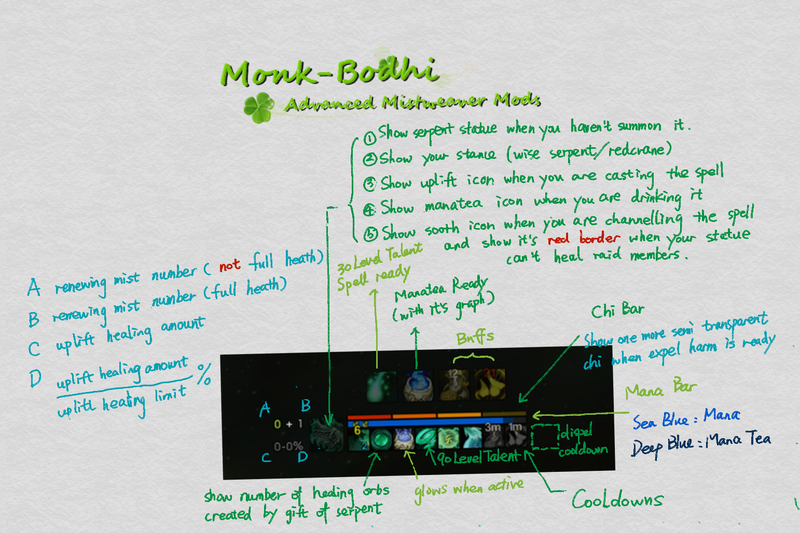 MONK Bodhi is a Aura&Cool-down Timer for Mistweaver. It's a lightweight addon with advanced features. The addon works well with me and I hope you enjoy it too. If you have any question or suggestion, post it on the Comment. I like the addon, but I was wondering if it all possible to add labels to each bar? I know WA can do all this stuff to, but to be honest I like your addon. Been using for awhile now. Guess I've just gotten used to using it. Really lacks experience writing combat mods. The earlier versions are just for temporary use when WeakAuras and other similar mods are not available. WA can almost do everything as a powerful tracker. People may use it to fed their own personal needs. I updated it for people who had asked for GUI. 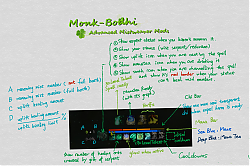 Maybe it was not necessary when highly customed addons like WA had already been updated for mop. Hmmm, was a bigger fan of the older version. Nice addon. Gonna try it on my monk when the servers are back up!